Taking about disappointing products is never a fun thing to do, I always feel a little bit bad! But remember these are just my views, it doesn't mean they won't work for you as I know a few people who love some of these products. Olay Complete Care Gradual Tan- I am seriously struggling to find a suitable fake tan for my face, the one I use on my body is St Morez which is really good but is not suitable to be used on facial skin. This Olay Face Tan just does not do anything for me, I've used it numerous times and I just don't see a difference in my colour, maybe it's just so gradual that it's just about to kick in before I stop using it cause I'm bored! But all I know is I definitely won't be repurchasing this again, however one plus is that it does have an spf of 15, which always justifies a thumbs up in my book! Maybelline Fit Me Foundation- Now I don't want to slag this product off too much simply because I did get the wrong shade, I thought this was the lightest one but it was much to dark for me, so maybe I'll give it another try when I have a tan. I just found that for me it did not give enough coverage and I didn't like the finish of it either. I like the concealer from this collection so I'm not saying the whole collection is bad, just that this foundation was not my favourite. Great Hair Shampoo- I have both the shampoo and conditioner to this set and I love the conditioner it leaves my hair feeling soft and nourished which it should as it has Moroccan Oil extract in it. But with the shampoo, I could just not get it to lather up no matter how much water I put on my hair so I just felt like it was a little useless and wasn't really washing my hair. Maybelline Dream Fresh BB- I'm not painting a very good picture for Maybelline here, both make-up products I'm featuring are by them but I do love Maybelline just a shame about these! This just has no benefits at all, I see no change with my skin, I thought that BB creams were must to do at least something not just sit there completely invisible on your face. -Sounds a bit harsh but it's true-. Clean & Clear Blackhead Clearing Cleanser- I just don't know how to right about this product, it did what it said on the tin but did a lot more than I wanted it to. I found that after using this for about a week my skin around my nose started to become oilier making my make-up not sit as well as previously. The product smells strongly of alcohol so much so it made my eyes water, and I think the harshness was striping my skin and making it produce more oils. As I have quite oily skin anyway this was not ideal at all so steer clear of this if you have oily skin. Santa Monica Self Tanning Wipes- Lastly I have another fake tanning product that I wanted to use on my face, and again this was a let down. To be honest it did only cost 99p so I didn't expect too much, I was just hoping to find a little gem, but unfortunately not. 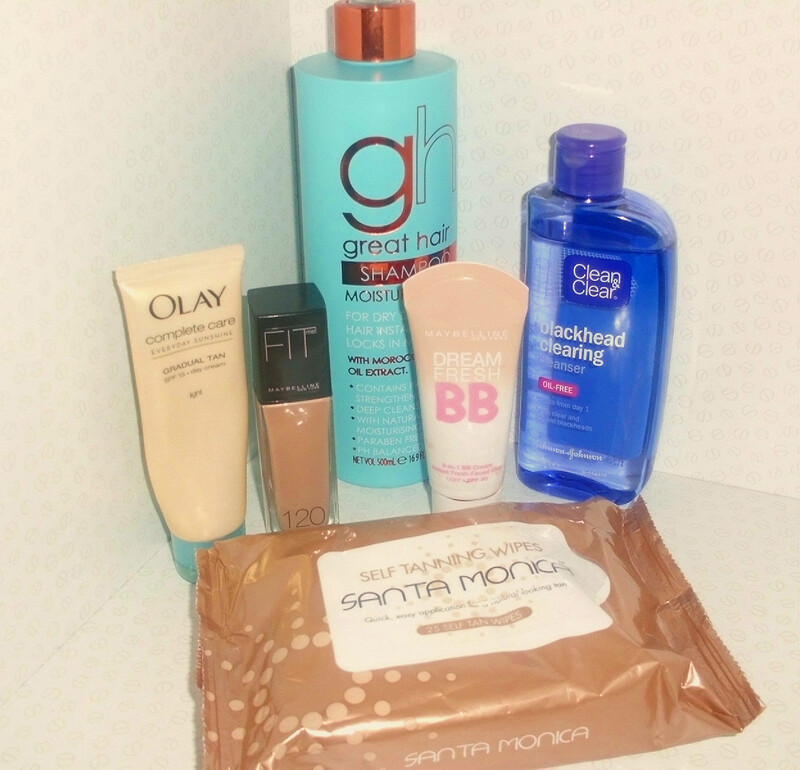 Hope this gives you some insight if you were thinking of buying any of these products or similar, thanks for reading, becciixx.